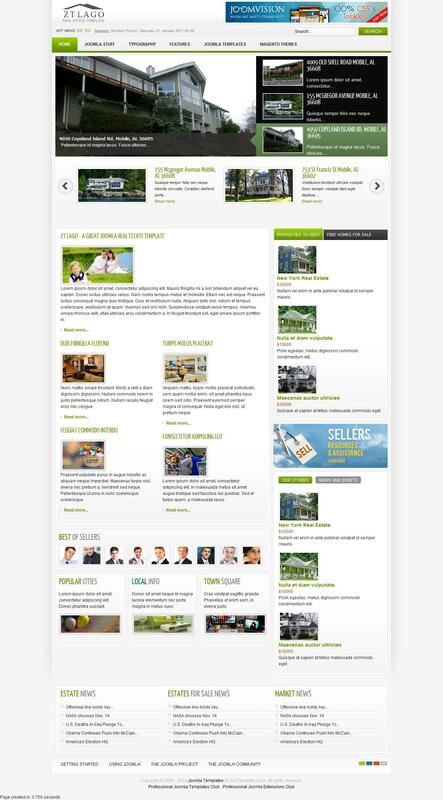 JV Lago - Update Template from ZooTemplate for version Joomla 1.6, which is perfect for creating websites of real estate agencies and projects devoted to building. Proprietary platform studio, which is used in the template provides full support for third-party extensions club and optimized search engine for files, as well as a choice of design through the built-manager. Flexible modular design template contains a huge number of positions that would optimize place all the items on the site. JV Lago is compatible with all browsers and devices.